We are eventually discontinuing this as a stock product. New super low pricing while they last! 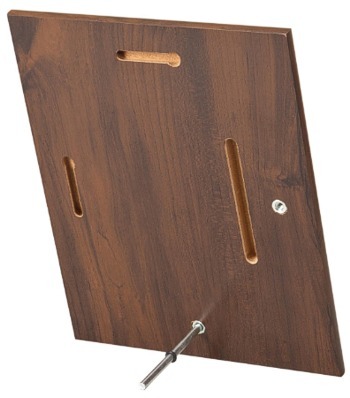 2 keyholes to hang vertical or horizontal. plaque for the option of standing it on a desk. Must match the total of boxes on the left.